What a happy fabric for such a fun project! Even the names of the Sherbet Pips are so fun! When adding 1/2 inch for seam allowances on all 4 sides, be sure to add the extra 1/2 inch to the width. Diana loved making the binder. The pattern was well written and easy to follow. 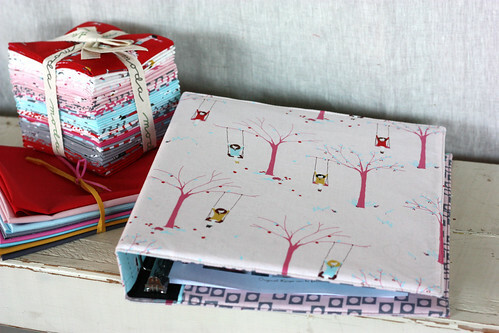 The Pips binder will be going to school with Lexi, Diana’s teen-aged daughter. Another binder is in the works for all Diana’s downloadable pattern pages. The finished product is beautiful. She quilted the bag pieces after she cut them so she could do the applique. The bag body was made 1 inch longer to give more length to the flap. She would not recommend a directional fabric, the print would be upside down on the back. The size of the bag was bigger than expected, a wonderful surprise. 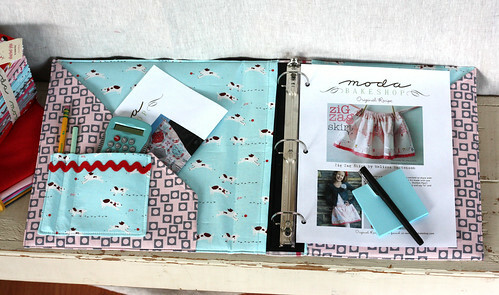 Melissa made her own seam binding from a contrasting fabric. A third fabric could be used for the inside. 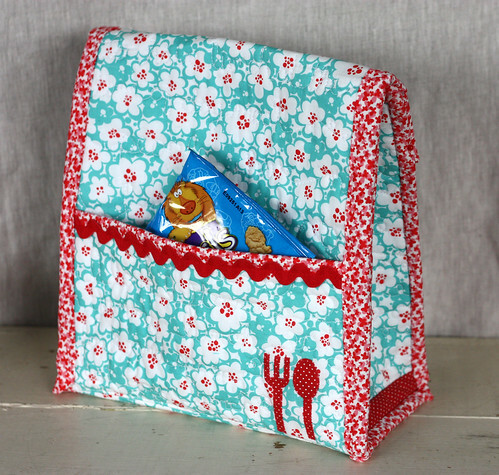 This pocket is a fun part of the lunch bag that was not pictured in the One Yard Wonders book. Melissa’s addition of the fork and spoon are so cute! 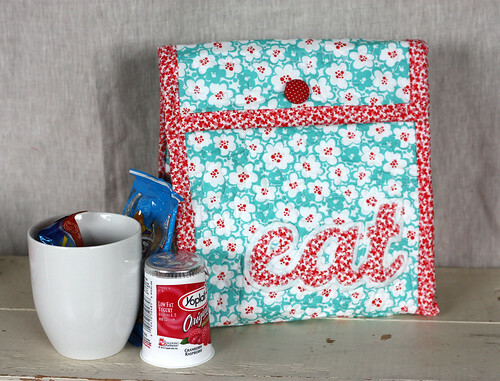 A pop of red rick rack provided by the Ribbon Jar. 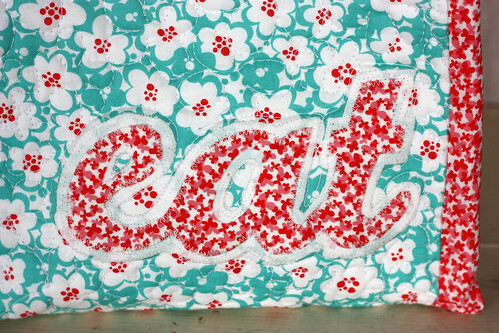 The perfect personal touch, an applique inspired by a vintage sign.